TLR2 antibody LS-C10654 is an unconjugated mouse monoclonal antibody to human TLR2. Validated for ELISA, ICC and IHC. TLR2 antibody was raised against cHO cells stably transfected with human TLR2 (Toll-like receptor 2). Recognizes human TLR2. Does not cross-react with human TLR1 or TLR4. 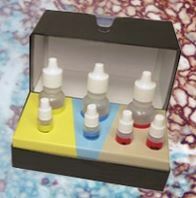 Suitable for use in ELISA, Immunohistochemistry (Frozen sections) and Immunocytochemistry. Positive control: Human tonsil. The applications listed have been tested for the unmodified form of this product. Other forms have not been tested.